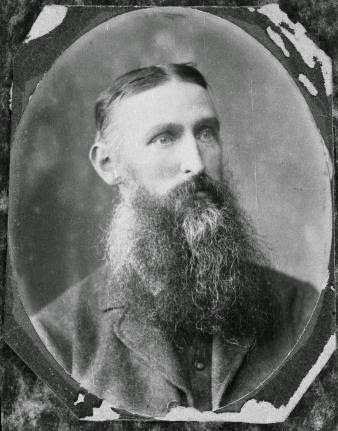 Image: William Jukes Steward, 1891. From Wikipedia. A little known fact – in 1898, the New Zealand parliament passed the Shearers Accommodation Act, which contained apartheid-like clauses demanding separate accommodation for Chinese shearers apart from everyone else in the shearing sheds of the land. The Workers Union in Waimate approved the Bill, “especially with clauses 8 and 9, which deal with separate accommodation, for members of the Chinese race who may be employed on the stations…” (Oamaru Mail 29 July 1896), and it passed the Lower House. The Legislative Council initially threw the Bill out, but it passed its second reading with them in October 1897. The Act was consolidated in 1908 as the Shearers' and Agricultural Labourers' Accommodation Act, which was amended in 1919 by the Shearers' Accommodation Act 1919 which repealed some sections (5 to 9) of the 1908 Act, but not Section 11: “Where agricultural labourers are of any Asiatic race, the employer shall provide for such Asiatic labourers separate and distinct sleeping-accommodation from that provided for other agricultural labourers …” This was finally repealed, along with the rest of the 1908 Act, under the Agricultural Workers Act 1936. So, after 38 years, separate accommodation for Chinese workers in the shearing industry was abolished. I've never heard of Chinese shearers in Australia but you had them in NZ?. Surely by 1936 it was a very moot point about Chinese shearers' accommodation. Interesting matter, for sure. I wonder to what extent that was more protectionism than simple racism by the Worker's Union - impose a costly prerequisite on the hiring of cheaper (and hard to unionise) labour?